Welcome to Yoga for Big Bodies blog. I am looking forward to using this blog to post about my experiences doing yoga and facilitating a small yoga class. I am a fat woman who loves yoga and continues to learn. I want people to know that yoga is accessible to everyone, whether it is a position or a breathing exercise, there are things all of us can do to feel stronger and more flexible. Оригинал взят у evgen_sedykh в Видео "Асаны Хатха-йоги.Начальный уровень"
На видео вы найдёте простой, компактный, но мощный комплекс йогической практики для развития системы разум-тело. С помощью этого видео вы можете легко себя вдохновить на регулярные самостоятельные занятия в домашних условиях. Все что нужно - включить запись. Весь комплекс сопровождается детальными голосовыми комментариями (это позволяет заниматься под видео, ориентируясь на голос), визуальной демонстрацией (вы можете сверить правильность выполнения упражнений) и подписанными названиями под каждым положением тела. Степень сложности: для любого уровня практикующих. Вместе с видео в подарок вы получите книгу "Вводный курс по Хатха-йоге" в электронном варианте, дополняющую практику теоретической базой. 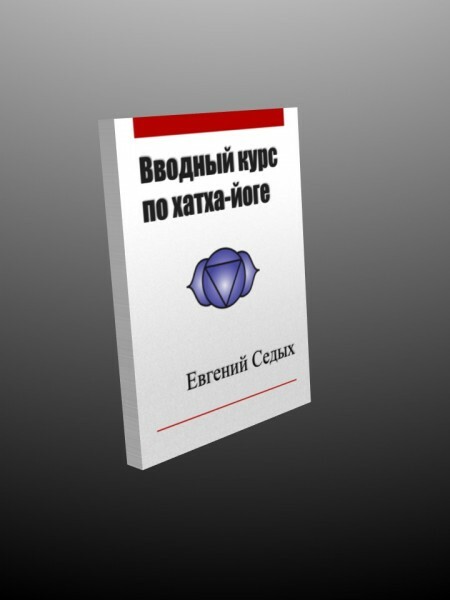 книга "Вводный курс по Хатха-йоге"
Оригинал взят у evgen_sedykh в книга "Вводный курс по Хатха-йоге"
registration is FREE at flavorpill.com/yoga with code SOCIAL, and good for registrant+friends, with free yoga mat, smartwater and gift bag. Hope this is of use to some! Anyone out there over 270 doing chakrasana? How about headstands/shoulderstands? Camel pose complete with gripping the heel? How do you get into them? Also excited because a few pages into the magazine Yoga+ there's an ad for Kirapalu with a fat woman doing a full pigeon pose. I think I'm going to tear it out and hang it up for inspiration! If you've seen the ad, please comment with your impressions of it. I haven't been on LJ in a long time mainly because I've been distracted by other sites but other sites don't have the communities I love on LJ. Anyway, I'm a returnee to the group and I've decided that I really want to get back into yoga. I've had a serious of injuries over the last few years that have forced me to start at a lower level than my mind wants me too. I have decided to use Yoga for the Rest of Us in combination with the Just My Size Yoga video. I have been thinking about how I can create my own specialized routine using elements of both videos. Has anyone created their own routines that they do without videos? I just recently tried Megan Garcia's Just My Size Yoga. I admit I wasn't really a fan. I didn't feel like she explained how to do the positions very well. Though I did find three I could do, most of them were too difficult for me. I can't support myself on my hands/wrists (I think that was called Cats & Dogs? Or Downward facing Dog? Or something like that. Forgive me, I'm brand spanking new and haven't learned everything yet. ), I think that is the biggest problem. I was able to do Mountain and Warrior I and II, which seem like excellent things to begin with. However, I worry I'm going to do it wrong and hurt myself. Does anyone have any advice? Also, I found Megan's voice to be kind of irritating, and she moves entirely too quick for me to feel relaxed. I don't know, I just feel rather disappointed all together. It seems like that's the only DVD for fat girls like me to try yoga too. Since that seems to be the case, does anyone have any suggestions on other poses I could try? I'm 375lbs, and I don't have a lot of flexibility or strength yet. So I'm looking for things that will help me build that. I'm also in the Portland, OR area (Downtown), so if anyone knows of a great Yoga class that works for someone my size I would really love to hear about it. I'm looking more for personality recommendations of places people either go, or have gone, instead of "You might want to try and see if they have" type things. As the instructor, I am in control of the style, pattern, and flow of the class. I have learned to breathe and speak, to relax and hold as I cue, or to watch my class and support them. On my mat at home, the same applies. Generally I write my flows or practice in preparation for class. Sometimes I just work in specific asanas. Since I have joined class as participant, the first lesson I had to learn was to turn off the teacher inside and being my focus to my mat. From the back of the class this was a constant redirection; from the front , I had ego chatter. Thankfully, I had my commitment to breathe and mindfulness. Eventually, I learned to relax into being - being on the mat, being present, being student. One would imagine this comes with ease, especially after all these years, but the biggest bit I had to release was the need to be in control. So, I have shifted again. I joined a new club and now have three new teacher. They have very different styles and poses I have never seen before. At times I am distracted by the music - Sam Cook, Mary J Blige, Red Hot Chili Peppers, The Goo-Goo Dolls. There were times I missed the cues. On the other hand, I once received feedback about playing music with words. I now understand. I am preparing for the next great thing. In my world that will be Hot Yoga. The new studio hasn't yet opened, but we are planning for a fall appearance. Hot Yoga will be offered three days a week. As much as I know anyone can begin at anytime, I would rather have a bit more stamina when I walk in. What I have learned about being the student is that being in control; even as I upped the ante for my class was still within my comfort zone.